Pastel shades always see a resurgence around this time of year – the paler tones act as a welcome buffer between the rich pops of colour we see in summer. This year, colour experts have predicted that mint green will become the colour we’ll be seeing in our homes. With the weather starting to change and the buds starting to appear outside, it’s the perfect time of year to start incorporating some on-trend springtime shades into your home – and this year, the preference is definitely pastel. Greens are the go-to shade for spring, but the pastel tone adds a hint of modernity. Cool, calming and instantly soothing – mint green pastel shades compliment any type of room and are completely gender neutral, so will soften the tone of a space but not make it necessarily too feminine. You can create a playful mood by pairing with accessories in contrasting pastel hues, such as yellow or pale pink. This will allow you to create a contemporary space in your home that uses colour in a vibrant, but not too overpowering way. 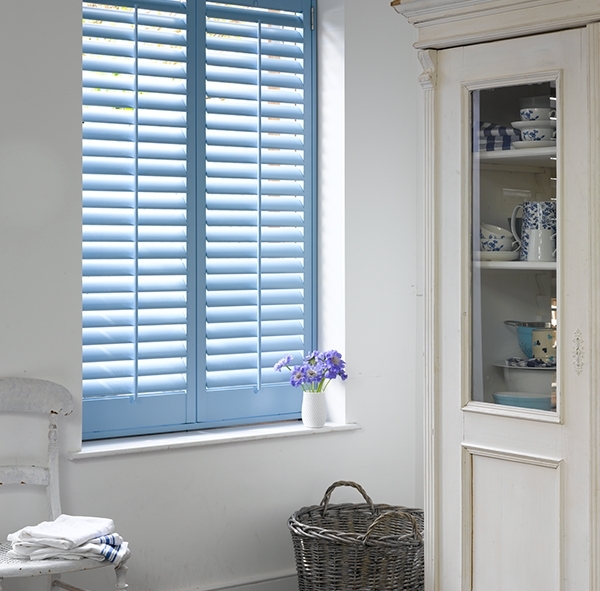 For many, incorporating such shades into the home can be a bit of a daunting prospect, but by using our colour matching service it’s piece of cake – shutters are an ideal way of including pops of vibrancy into your home without dominating the entire space, and getting the colour you want is as simple as providing a sample, which we’ll be able to match with ease.